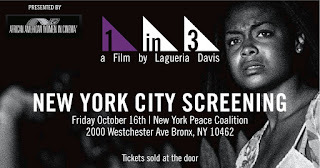 Join African American Women in Cinema for a special screening of the feature film "1 in 3" at 6:30 pm, Friday, October 16th. Filmmaker Lagueria Davis will be on hand to talk about her experiences as a domestic violence advocate and how the film changed the lives of all who worked on it. 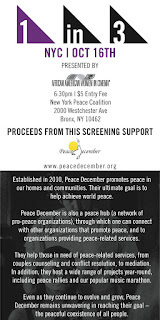 DVDs and T-Shirts will be available for purchase at the event. 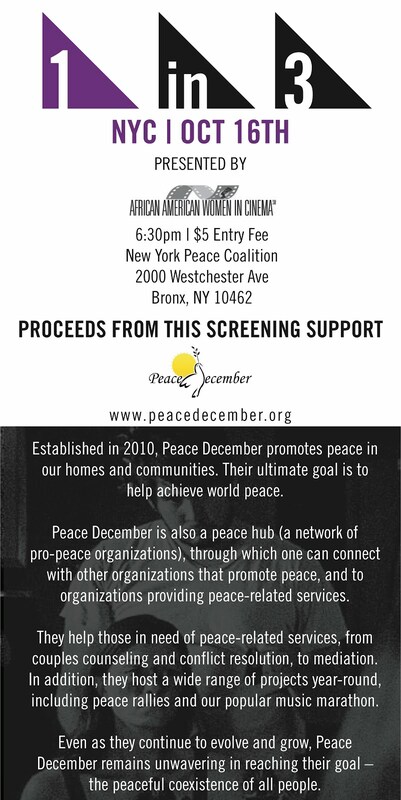 For more information, email lagueria@hotmail.com.